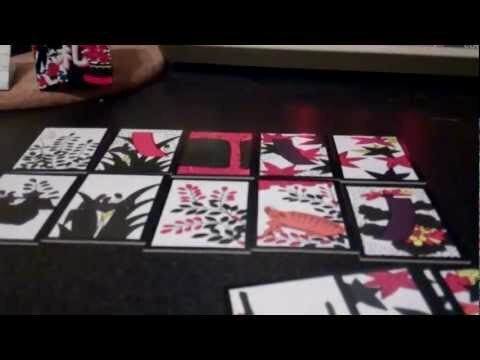 Hanafuda cards originated in beginning of 18th-century Japan. Legend says stewards of Edo Shogunate created it from Portuguese playing cards. A deck consists of forty-eight cards divided into twelve suits of four cards each. Each suit represents one of the twelve months of the year or individual plants (almost flowers). Many different games can be played with a Hanafuda deck. In 2010, Kelsey Cretcher's first deck was one of the first re-illustrations of Hanafuda. Prior to it, the original illustrations remained the same and only edited slightly.